After a weekend split saw Quinnipiac have a big win Friday over Harvard on the road, the team had a no show performance the following night against Dartmouth losing 5-1 to drop their first game of the season. Despite the split on the weekend, Quinnipiac moved up in the USCHO.com poll to 13th. They now return home against RPI and Union next weekend looking for a bounce back after getting knocked to the mat. 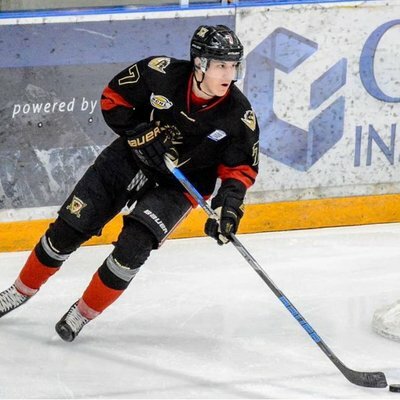 Over the past week a handful of the Quinnipiac commits had a big week with many of them playing in the BCHL. Lets see how some of them did this week. Wyatt Head had three straight multi point games for the West Kelowna Warriors with seven assists in the last three games played this past week. In 21 games played, Head has 19 points (3 goals, 16 assists) and is two points away from matching his point total from a season ago. Matt Fawcett had three more points this past week with two goals and an assist. The Powell River Kings rookie has 20 points (9 goals, 11 assists) in 20 games played this season. Jayden Lee had a strong weekend for the Powell River Kings with five assists in three games played. In 20 games played he now has 11 points (1 goal, 10 assists). Tyler Ghirardosi had three assists in two games played for the Trail Smoke Eaters. In 19 games played this season he has 14 points (5 goals, 9 assists). The breakout for Skyler Brind'Amour looks like it has come. He had a 6 point weekend with 3 goals and 3 assists highlighted by his four point effort on Sunday. In 24 games played he has 20 points (7 goals, 13 assists). Despite picking up a single assist in two games over the weekend, Corey Clifton of the Surrey Eagles saw his 6 game point streak snap on Sunday. He has turned it on after a slow start with 14 points (4 goals, 10 assists) in 23 games played. PJ Fletcher picked up a lone assist in three games played for the Wenatchee Wild. In 21 games played he has 5 points (1 goal, 4 assists). 16 year old Austin Spiridakis had his first multi point game for the Alberni Valley Bulldogs with a goal and an assist on Saturday. In 19 games played he has 4 points (2 goals, 2 assists). Logan Britt had a goal this past week for the Lincoln Stars. In 10 games played, Britt had 6 points (2 goals, 4 assists). Evan Fear picked up two wins for the Green Bay Gamblers over the weekend. He gave up 5 goals in two games on 55 total shots. On the season, Fear has a 5-3-0-1 record with a 2.87 goals against and a .913 save percentage in 9 games played. Justin Robbins struggled in two games for the Chicago Steel. He gave up 9 goals in two losses bringing his goals against on the season to 4.11 with a .861 save percentage. Yaniv Perets continues to play at a high level for the Junior Bruins in the NCDC. In a 2-1 win over the Connecticut Jr. Rangers he made 46 saves. In 15 games played this season he is 13-1-0-1 with a 1.84 goals against average and a .947 save percentage. Oscar Plandowski picked up three more assists for the Selects Academy U-15 team at the South Kent School in two games played . In 25 games played he has 34 points (6 goals, 28 assists). Jack Silich had a goal and two assists in four games played for the Chicago Mission U-15 team. On the season he has 54 points (22 goals, 32 assists) in 35 games played. Victor Czerneckianair is averaging more than a point per game for the Selects Academy U-16 team at the South Kent School. In 27 games played he has 39 points (19 goals, 20 assists). It was a big week for Liam McLinskey of the Jersey Hitmen U-18 team. The Pearl River, NY native had 6 points (2 goals, 4 assists) in three wins over the past week. In 12 games played this season, McLinskey has 16 points (8 goals, 8 assists).